Looking for a copy of our Capability Statement? 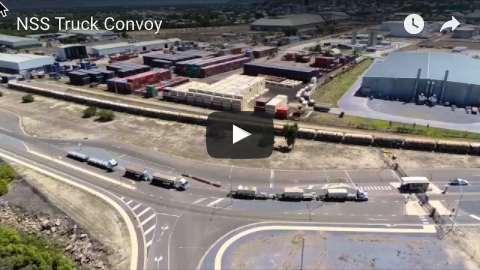 NSS recently partnered up with SkyDronics to bring you a series of aerial drone videos of just some of the services we offer at NSS. Move drone video and other NSS videos can be found over on our YouTube Channel. Construction of the second of two new Liebherr 9800 excavators was completed at BMA’s Goonyella Riverside mine in the Bowen Basin last week. The excavators, costing about $16 million each, have been brought online as part of an accelerated stripping project designed to increase the waste stripping and coal exposure capacity of the mine into the future. Each machine weighs about 800 tonnes – more than a fully laden Airbus A380. "The machine moves about 80 tonne of dirt in each pass and fills a 930E truck in four passes," BHP media specialist - corporate affairs Travis McNamara said. "In total, each excavator will move about 15 million banked cubic metres (b.c.m) of dirt each year – roughly 30 million tonnes." An additional 18 930E-4 trucks are also joining the site's fleet for the accelerated stripping project, as well as three more D11T dozers, a 24M grader, 785D water truck, 777G service truck and a DR412i Sandvik overburden drill. 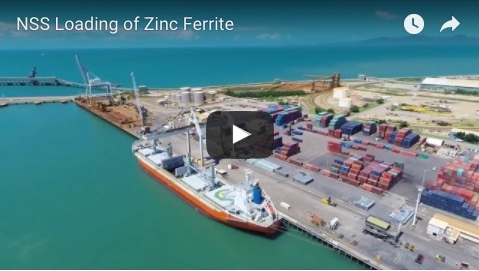 Copyright © 2019 Northern Stevedoring Services Pty Ltd. All Rights Reserved.